Updated Monday January 28, 2019 by Brandon Waylett. 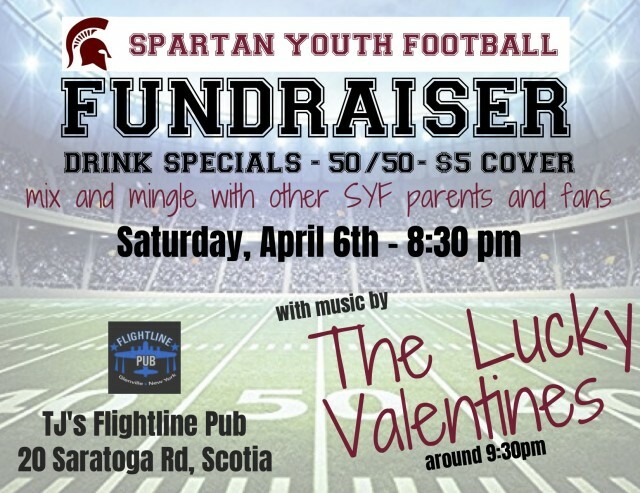 Come hang out with the SYF crew at your favorite local establishment! $5.00 cover at the door will go right to our young Spartans!